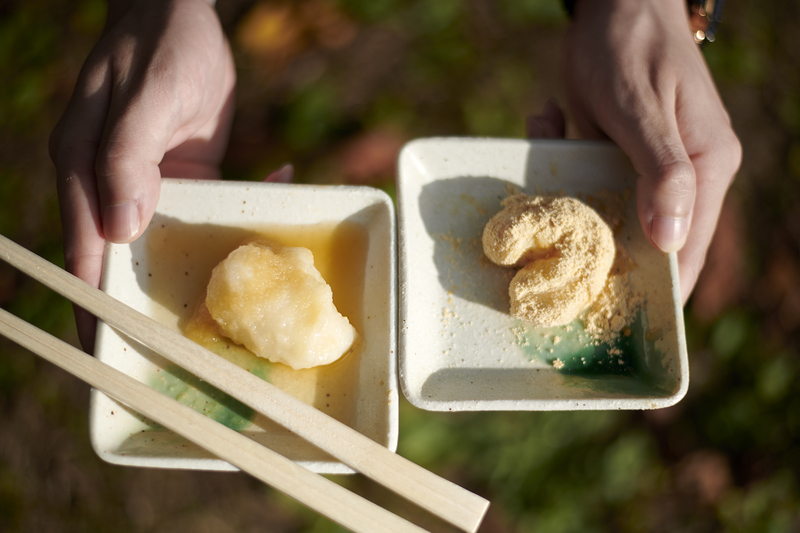 The mochi glutinous rice cakesis a usually eaten on special days, such as the New Year’s Day. 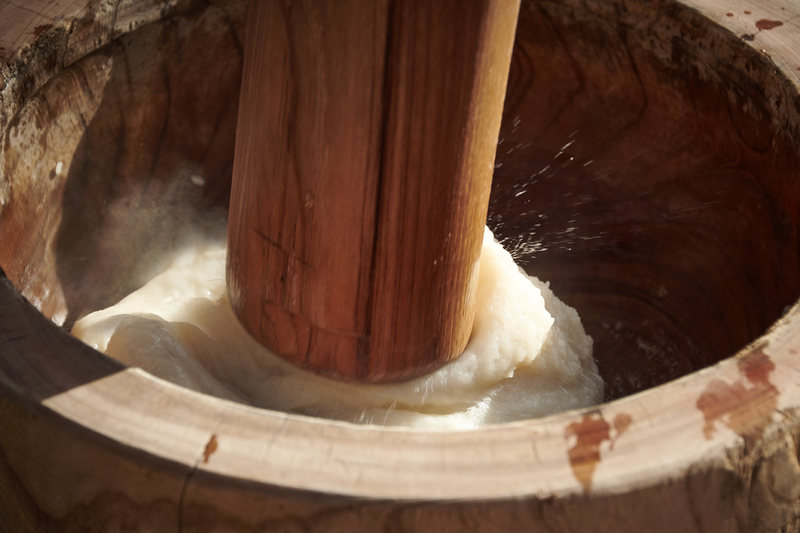 Making mochifrom rice is called “Mochi-tsuki(rice cake beating)”. 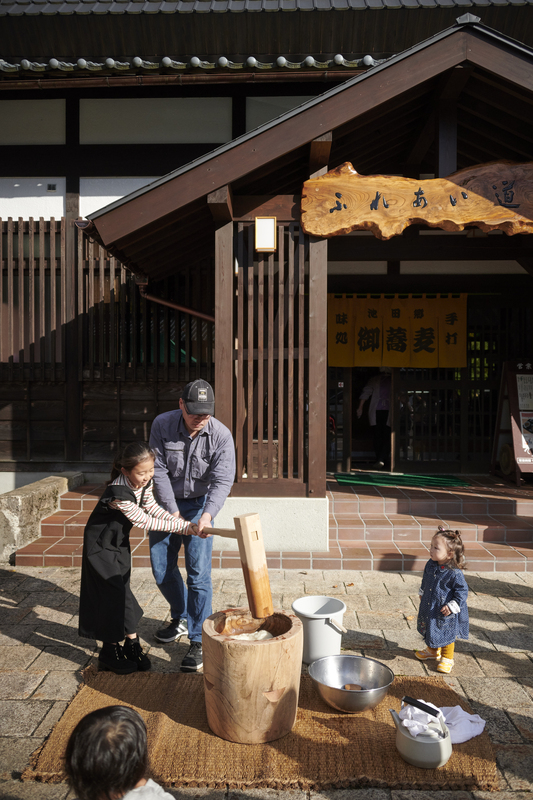 In Ikeda Town, you can experience making mochi all year round. Two people work together in a certain tempo using mortar and pestle. 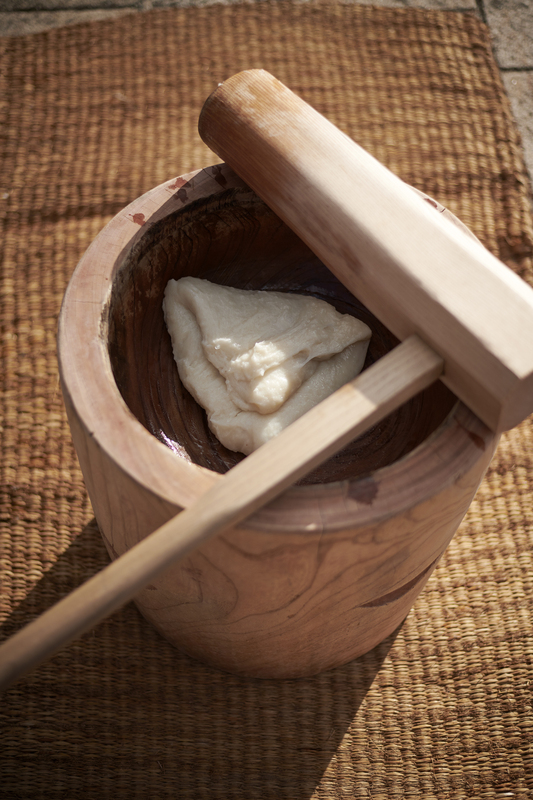 Let’s try the Japanese traditional way in making mochi. Rural Experience Program Furusato Fureai Dojo "Mochi-tsuki(rice cake beating)"